7pm at the Millennium Film Workshop, 66 East 4th Street, NY, NY 10003 (btw 2nd Ave and Broadway). Of course it is impossible to explain filmmaking in one 99 minute session! Or is it? Elliot Grove, founder of Raindance and one of the most knowledgeable filmmakers in the UK, will attempt just that and give you a viable plan and dozens of filmmaking tips in just 99 minutes. This evening workshop will run through the basic essentials you will need to create a film and to create a plan to launch your career. Money and how to get paid! Established and aspiring Writers, directors, producers, actors, filmmakers, cinema lovers, anyone with an interest in how movies are made and who seek a basic introduction to the filmmaking process. 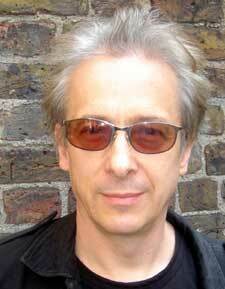 Elliot Grove founded Raindance Film Festival in 1993, the British Independent Film Awards in 1998, and Raindance.TV in 2007. He has produced over 150 short films, and 5 feature films. He has written eight scripts, one of which is currently in pre-production. His first feature film, TABLE 5 was shot on 35mm and completed for a total of £278.38. He teaches writers and producers in the UK, Europe. Japan and America. He has written three books which have become industry standards: RAINDANCE WRITERS LAB 2nd Edition (Focal Press 2008), RAINDANCE PRODUCERS LAB (Focal Press 2004) and 130 PROJECTS TO GET YOU INTO FILMMAKING (Barrons 2009). His first novel THE BANDIT QUEEN is scheduled for publication in 2010. Open University awarded Elliot and Honourary Doctorate for services to film education in 2009. Cheers and See you at the Class! I like your blog https://screenpens.wordpress.com/. Very informative put up, love the way you write and I think that the knowledge helps in a way. I don’t usually say this, but I think this can be a nice job done. If you like to exchange links, I’d be very happy to offer a hyperlink back to your site. Hope to hear from you soon.